Paper Crafts by Candace: Fiesta! Today is my day over at SVG Cutting Files and I have a fun new title to share with you! 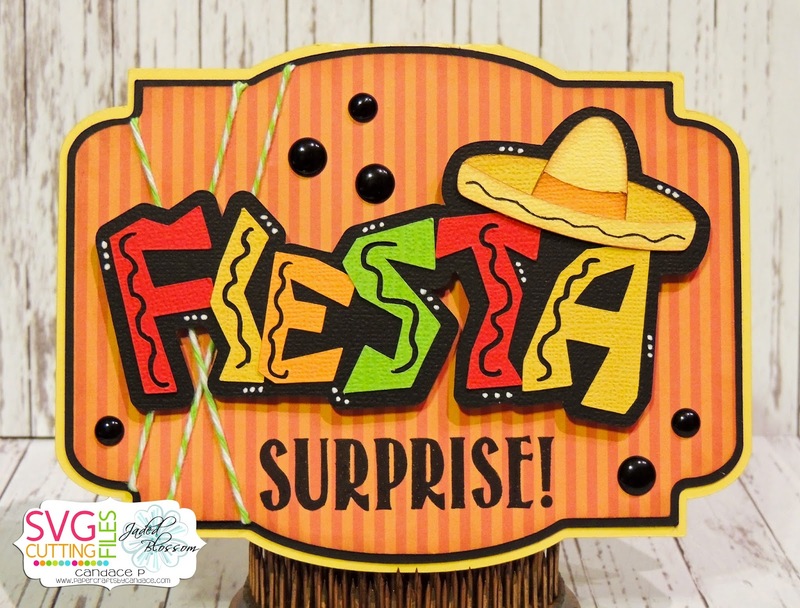 FIESTA will be in the store on Friday! Along with the title I also used the Ornate Card Base #2 from the store. From Jaded Blossom I used the Supersized Birthday Greetings for the Surprise sentiment. Love how bright this is. Great title. Had to tell you how cue this is again! !